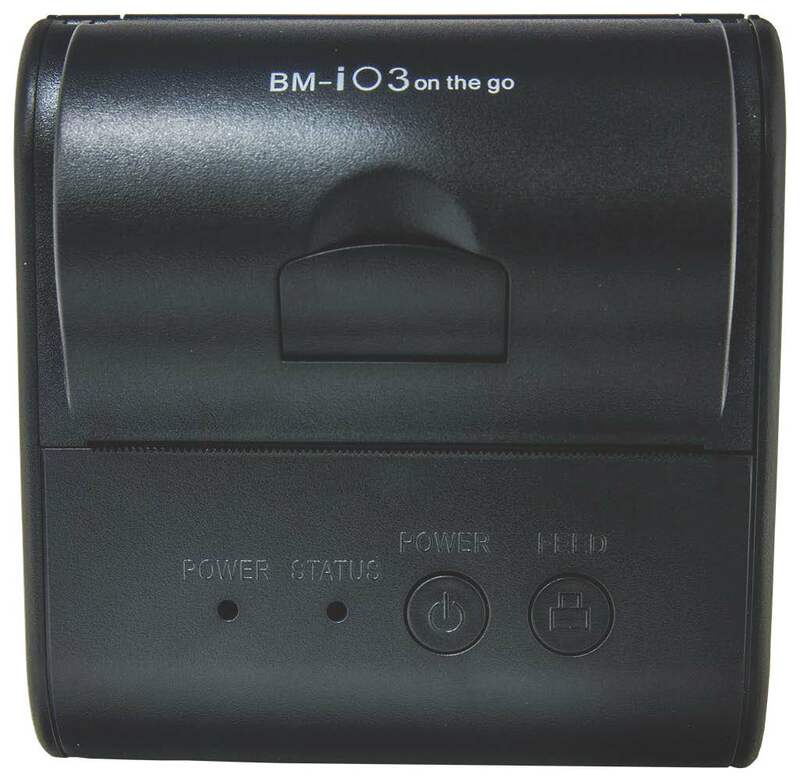 BM-i03 is 3" thermal mobile printer without cutter, which supports iOS, Windows , Android and Linux and support your mobile printing on the go. 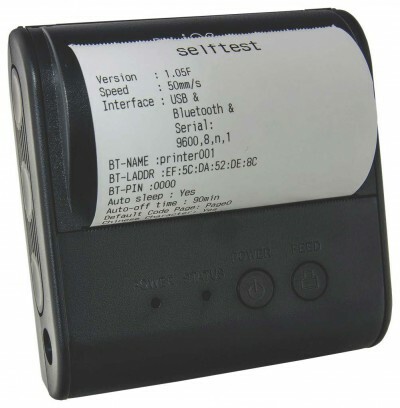 It can be connected with most of the mobile systems. 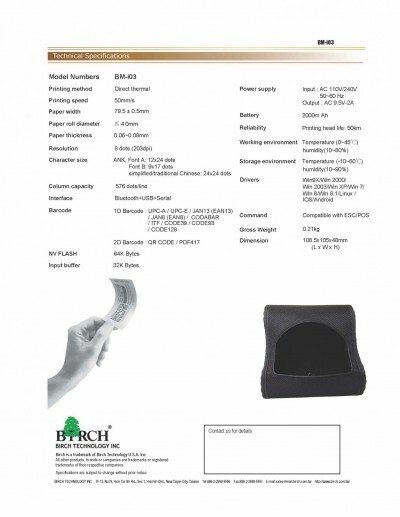 BM-i03 built-in high-end printer head to support 50mm/sec print speed with 576 dot/line resolutions. 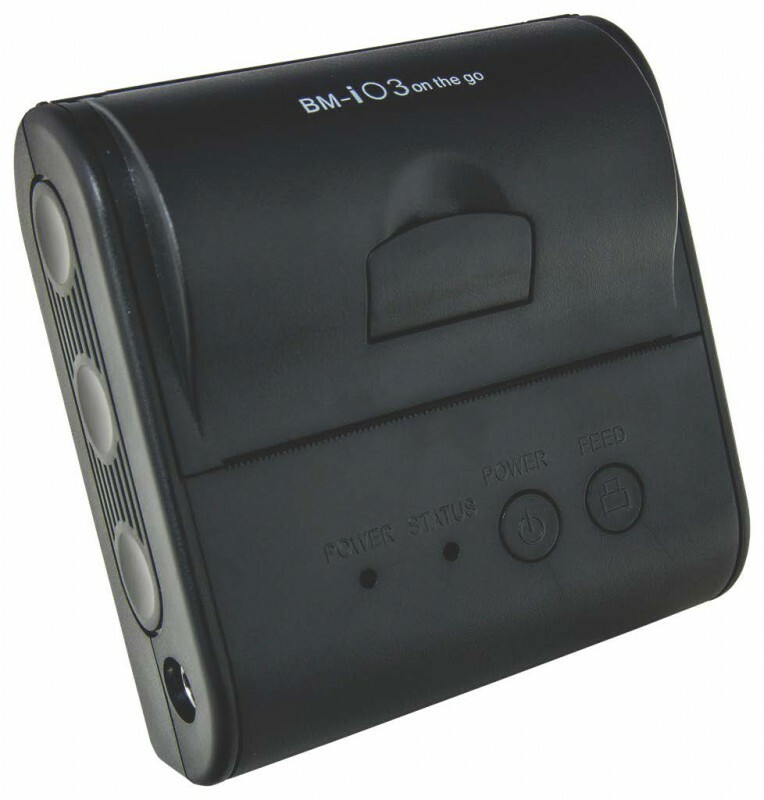 Furthermore the 32K bytes input buffer built-in. 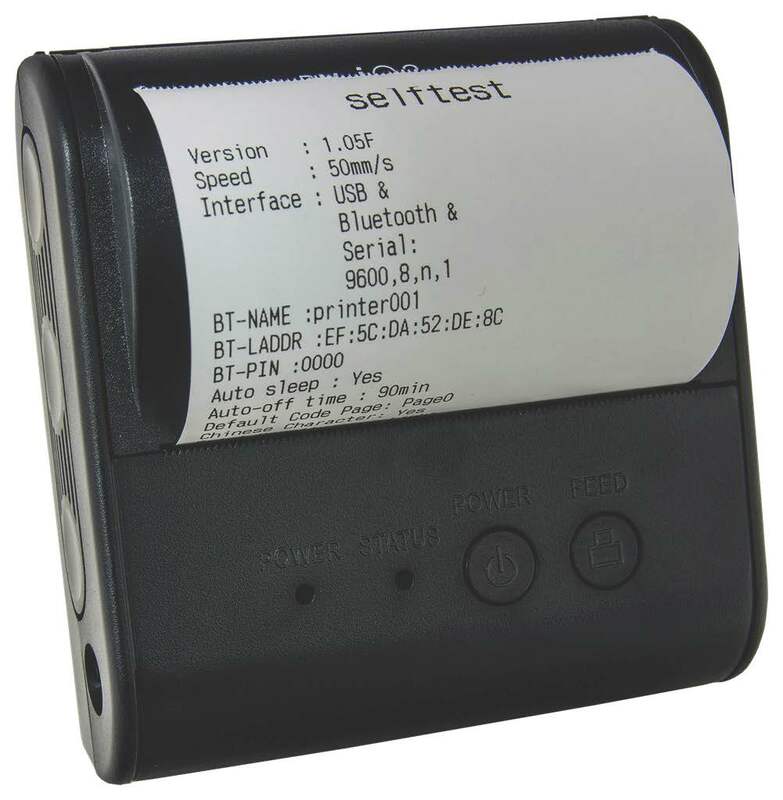 a. BM-i03 built-in 64K bytes Flash memory for NV logo, then it is helpful to print the receipt with your corporate identified system logo. 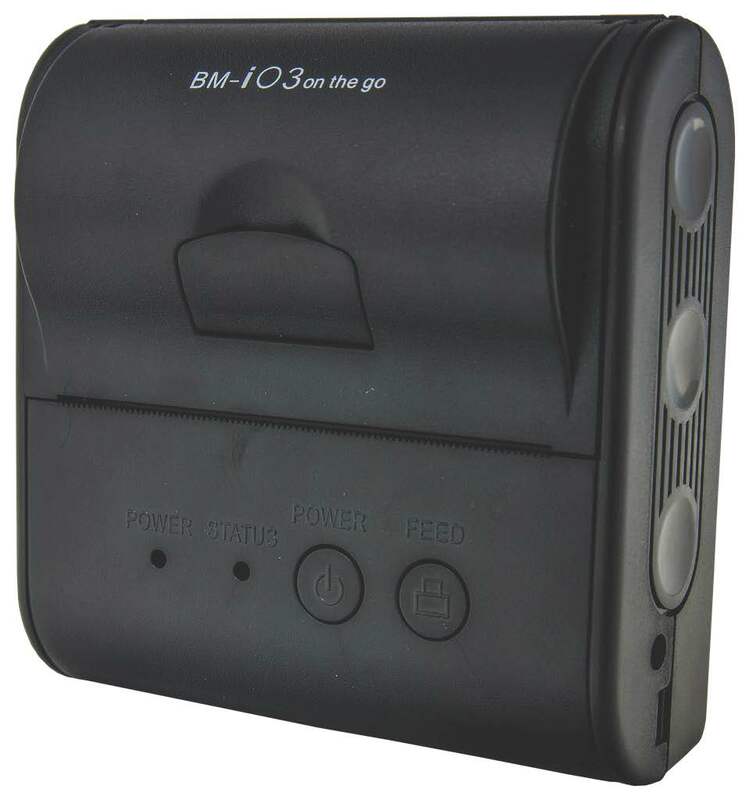 b Besides the receipt information printing, BM-i03 can support to print the most of barcode symbologies which included 2D barcodes of QR code & PDF 417. 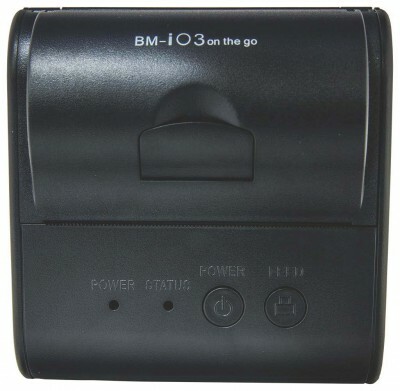 BM-i03 support paper easy loading and it supports RS-232 + USB + Bluetooth port to work with most of the mobile systems. Furthermore BM-i03 bundled with hand-carry bag standard for your option.